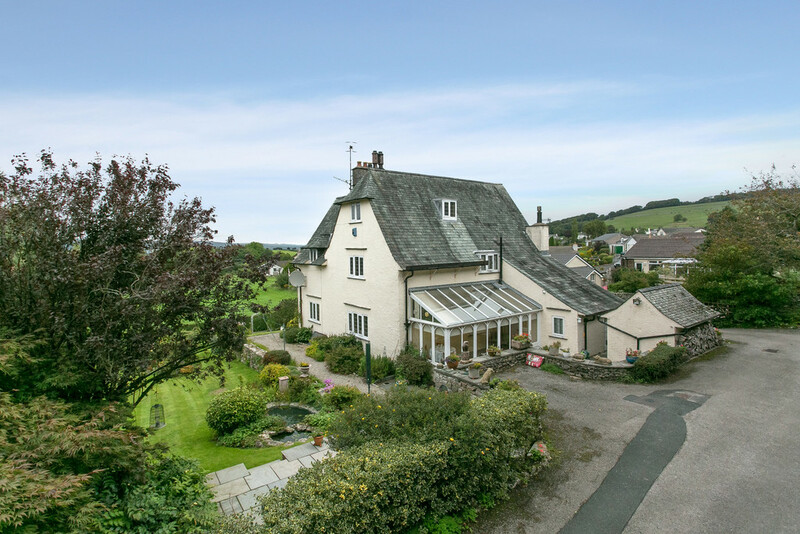 Tidal Reaches is an attractive Arts & Craft’s styled 5 bedroom detached residence, designed by a pupil of the renowned architect Voysey, with a steep sprocketed roof and leaded windows that create an imposing first impression. 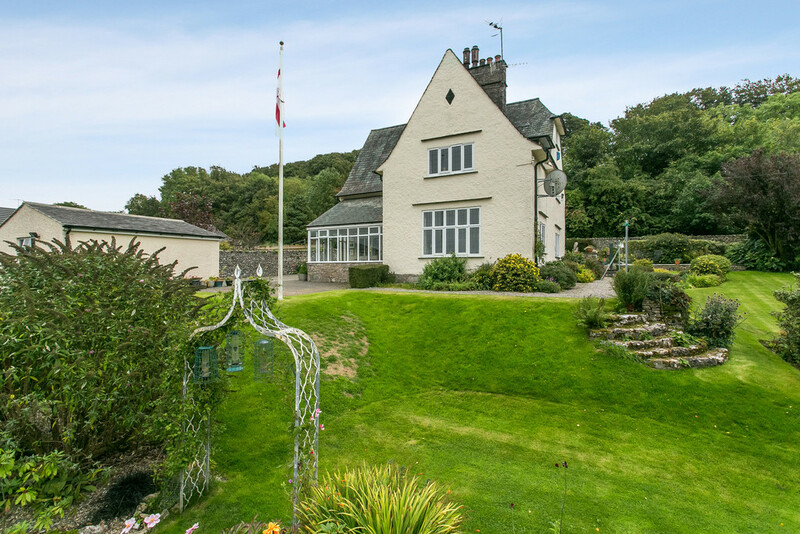 Located in the village of Heversham, just outside Milnthorpe, the property boasts views that stretch across to the Kent Estuary, Langdale Pikes and the Lakeland Fells and it retains beautiful original woodwork within, including recessed pine windows with deep oak sills, skirtings, picture rails, doors and architraves. 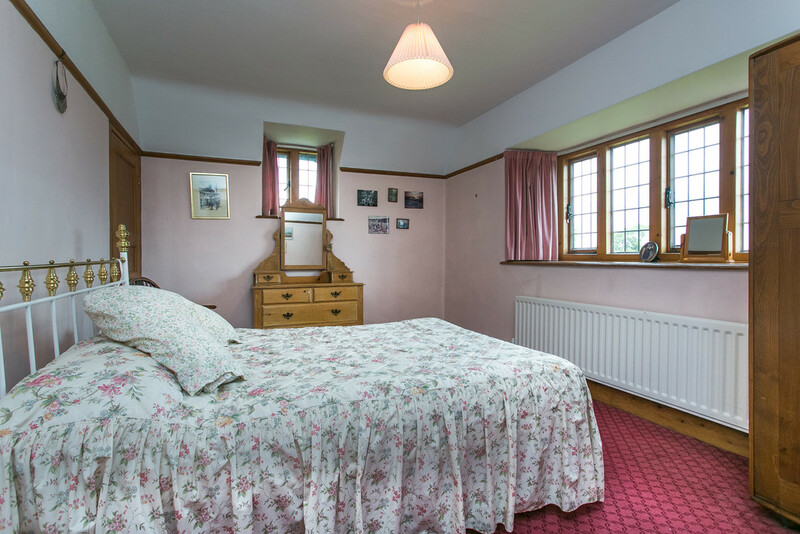 The spacious accommodation, whilst in need of modernisation in parts is ideal for family life. 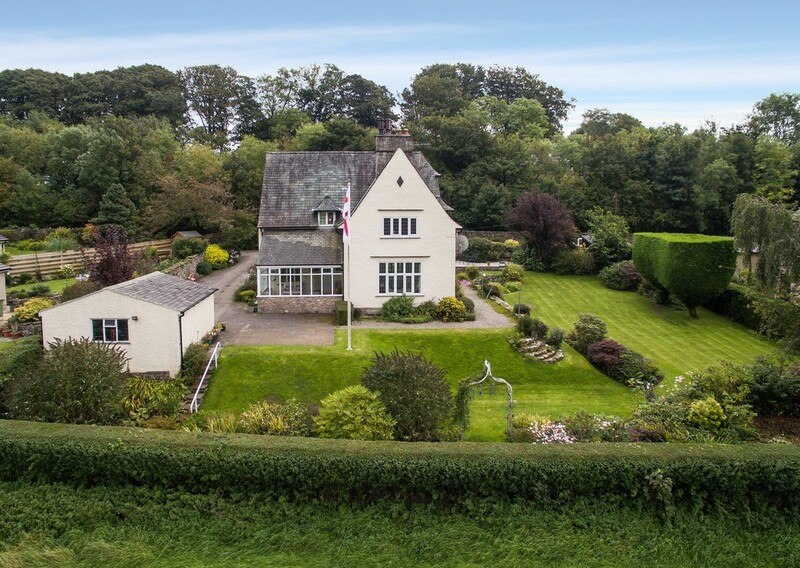 Set across four floors, there is a large entrance vestibule, three reception rooms, a home office, dining kitchen with adjoining utility, family bathroom and a total of five bedrooms, one of which is ensuite and a two room cellar. 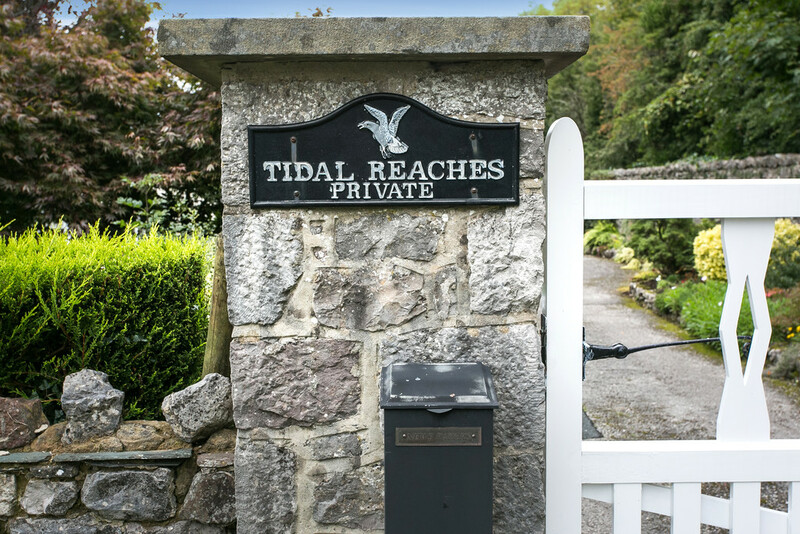 Surrounded by beautifully landscaped, gently sloping gardens with an array of colourful plants, shrubbery and trees, there is also a sizeable private driveway, detached double garage, shed and quaint outhouse mirroring the exterior of the property. 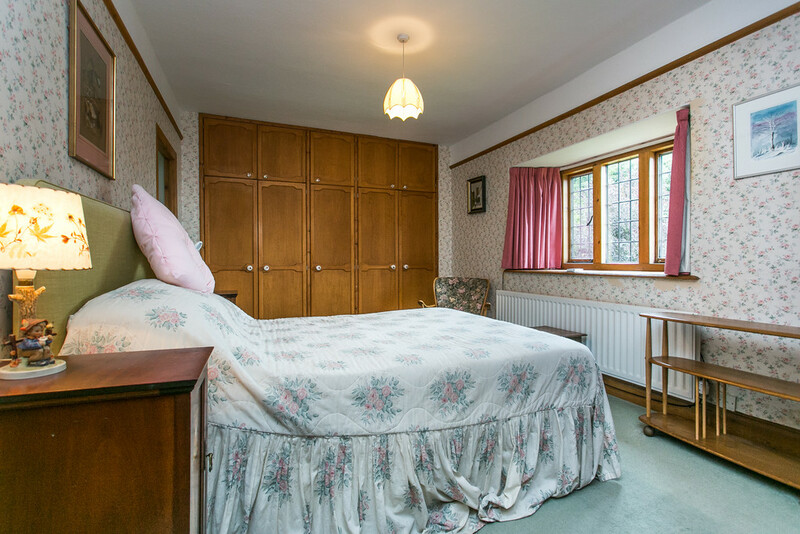 The quiet village of Heversham is located just outside Milnthorpe village where there is a good selection of local amenities including shops, cafes, restaurants, pubs, a doctors and a supermarket. Families will be delighted with the choice of local schooling which includes a primary school in Milnthorpe and Dallam Secondary School. 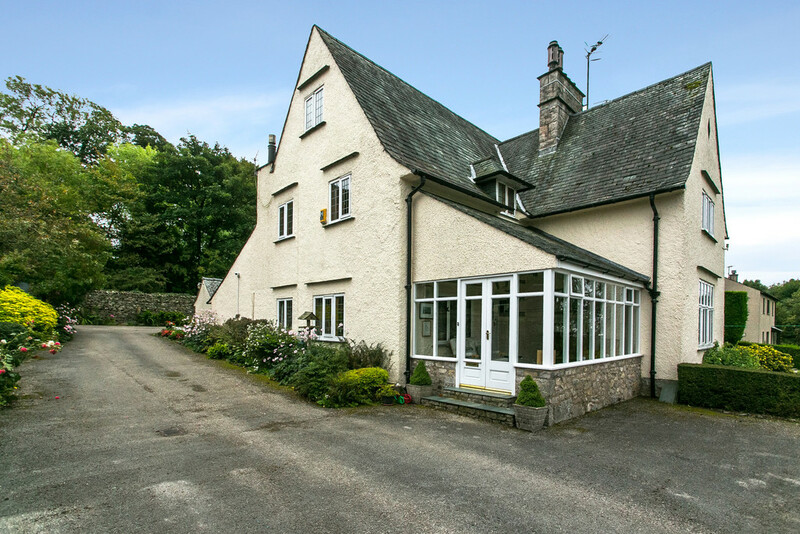 There is also easy access to the M6 and A590 to Kendal and the Lake District approximately 2 miles away. 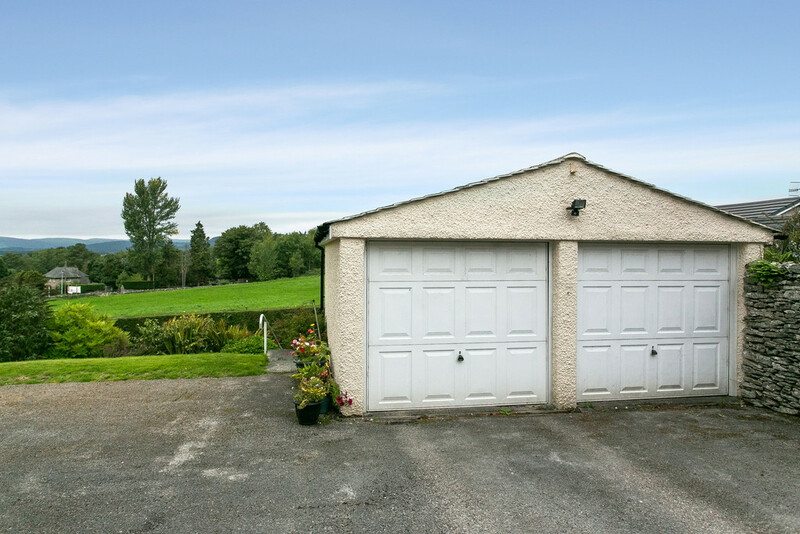 The private driveway winds around the property to the detached double garage, affording plentiful parking. 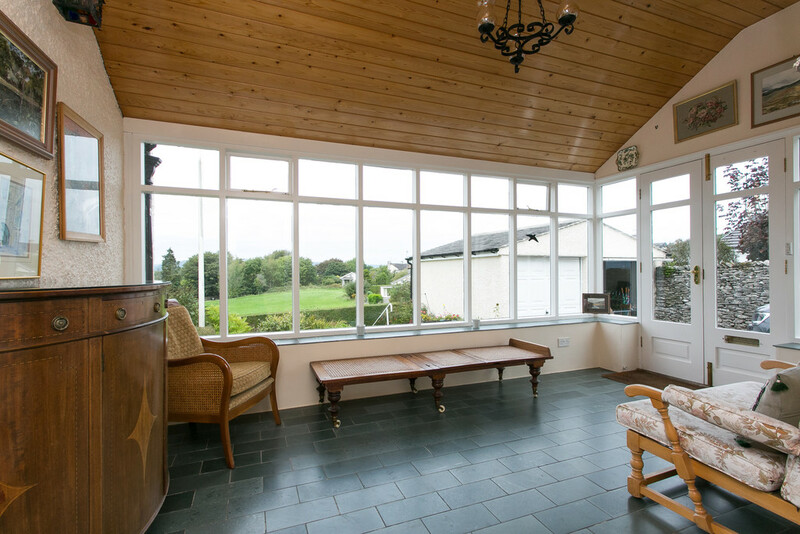 Attractive slate steps lead up into the entrance vestibule, a spacious reception space with Lakeland slate tiled floors, filled with natural light afforded via a dual aspect of windows. 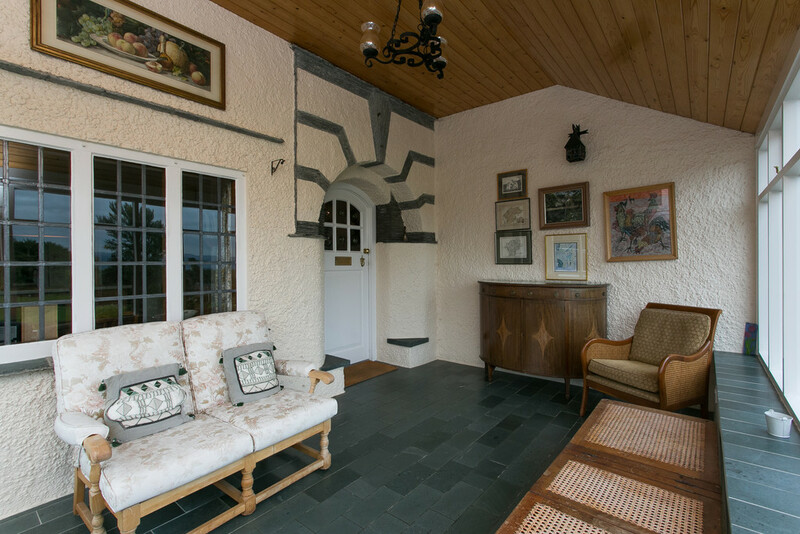 The original curved entrance door with decorative slate surround opens into the entrance hall that sets the tone of this characterful home. 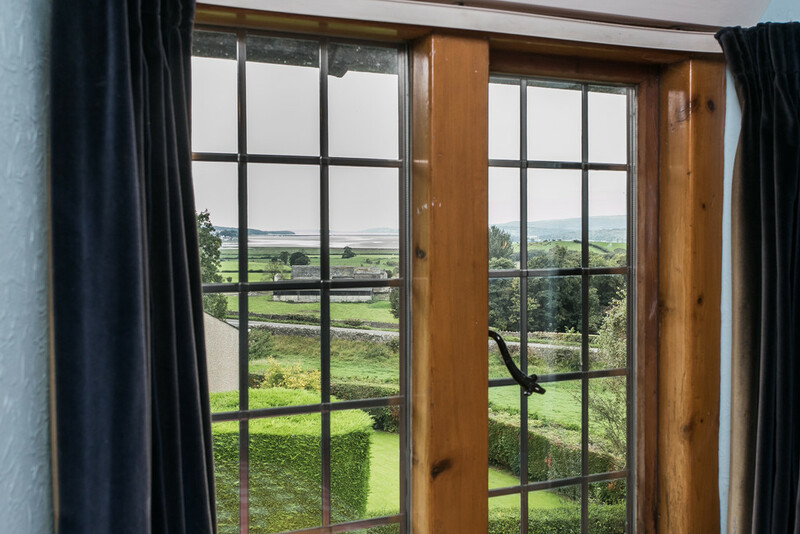 The sitting room gives you the first glimpse of the beautiful original recessed leaded windows with pine casements and deep oak sills. 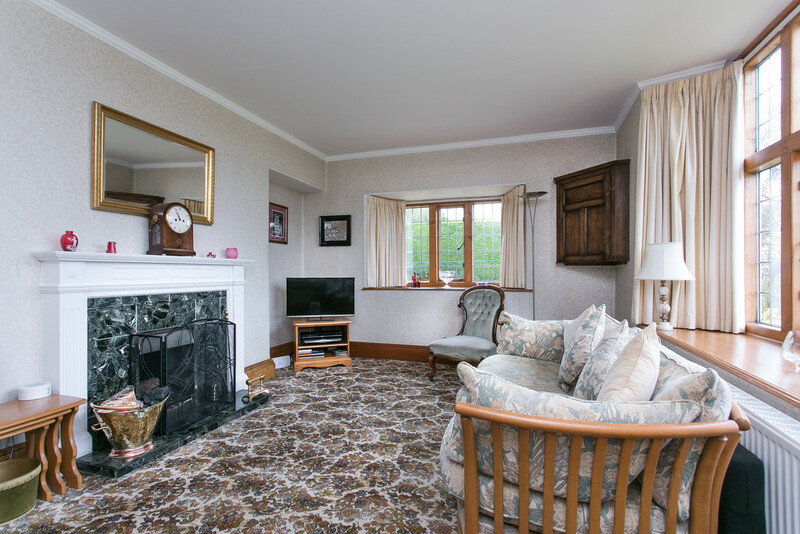 A dual aspect gives glimpses to the Kent Estuary and there is an Italian green marble fireplace with a working fire. 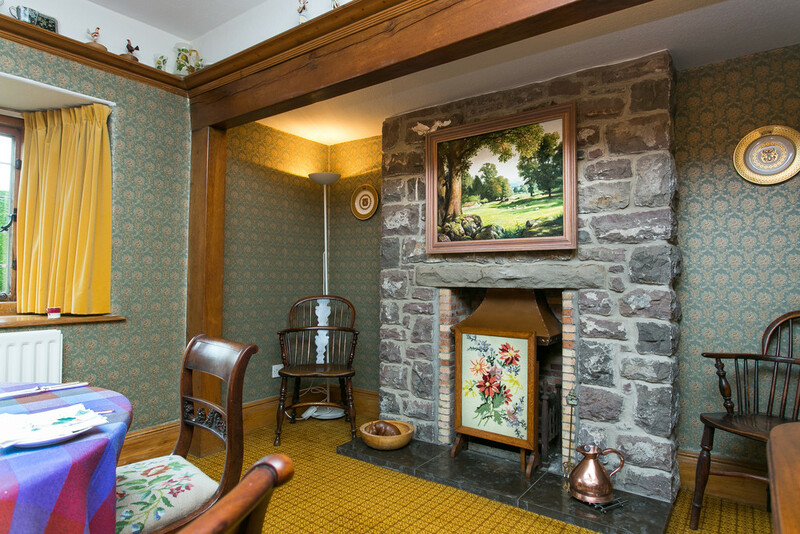 The dining room again features the characterful original windows and a working fire set within an exposed stone surround with a marble hearth. 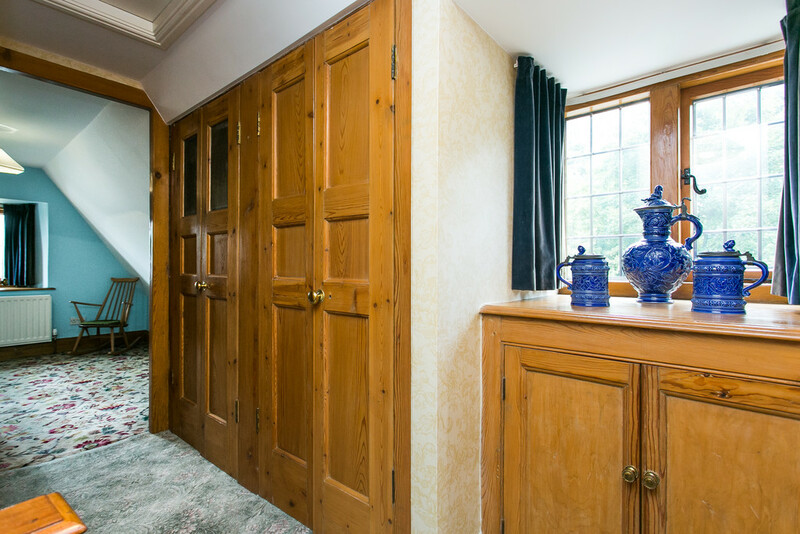 This is the perfect cosy setting for formal dining with further original features including picture rails, deep pine skirting boards and exposed wooden arch. 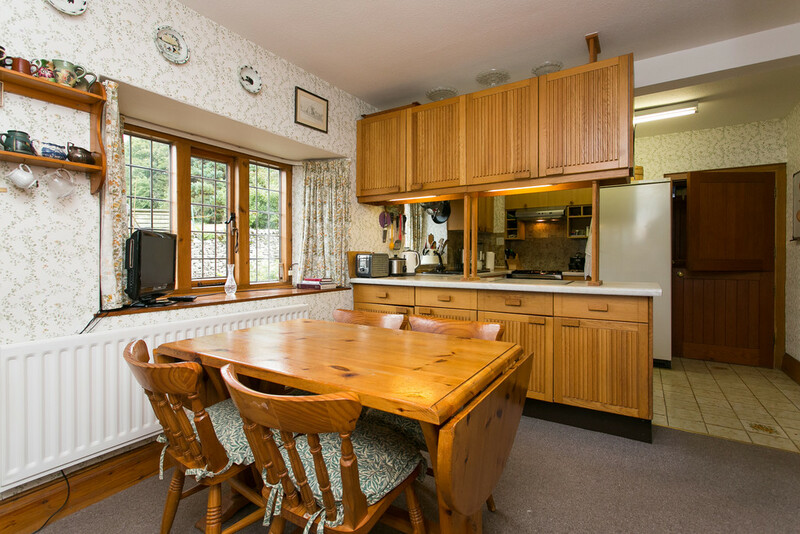 The dining kitchen, whilst in need of some modernisation, enjoys perfect proportions for modern family life with space for dining furniture. 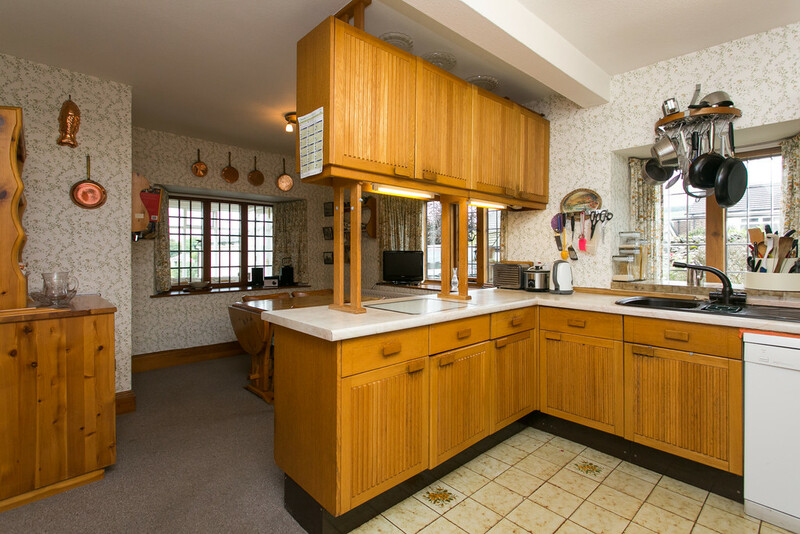 At present the wooden units encompass a sink and a half with drainer and Zanussi double oven and there is space for a washing machine and fridge freezer. 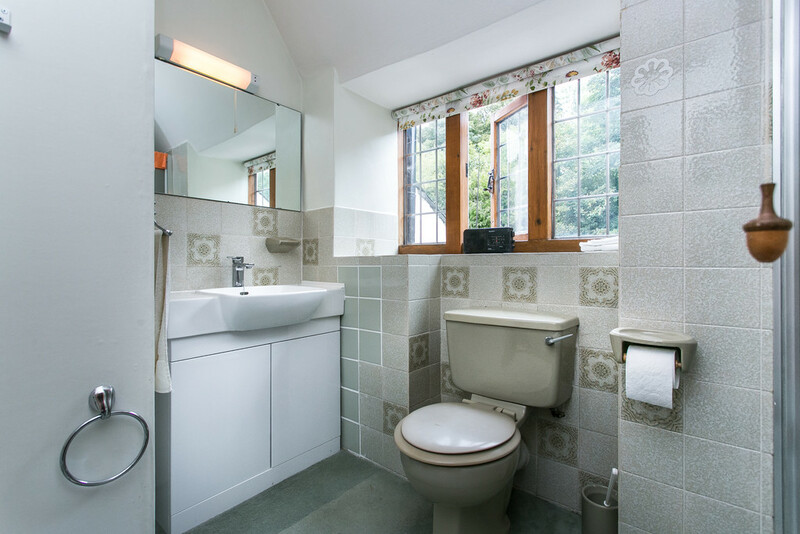 Immediately adjoining is the good sized utility room with further storage units, space for utilities and access into the cloaks room with WC. 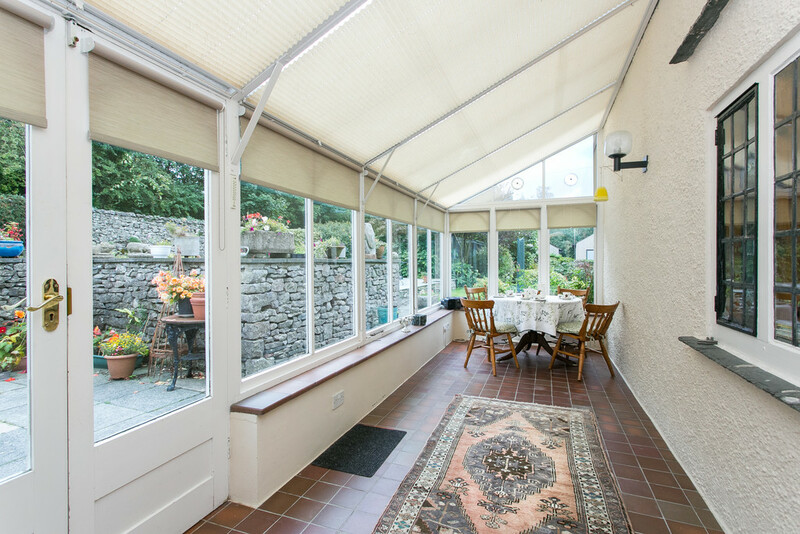 This is a great additional space with external access and glazed sliding doors leading into the spacious conservatory that looks out over the garden. 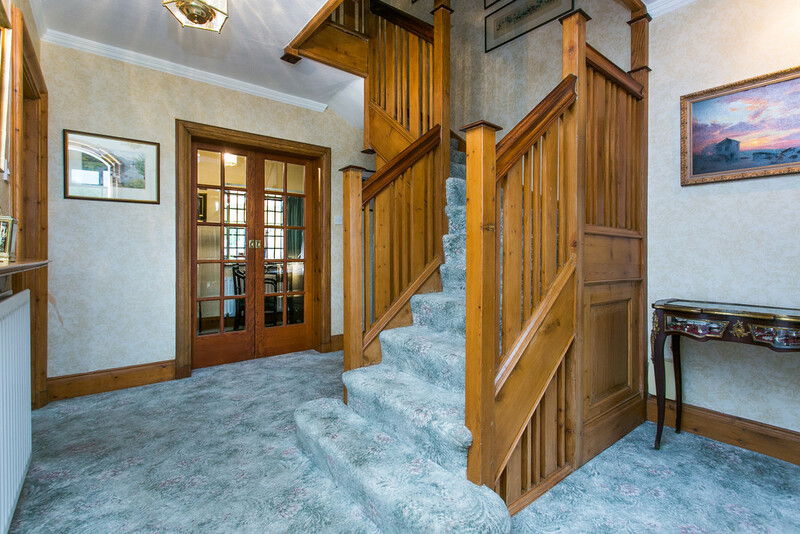 From the hall, there is also access into a study, the two roomed cellar and the decorative pine staircase leads up to the first floor. 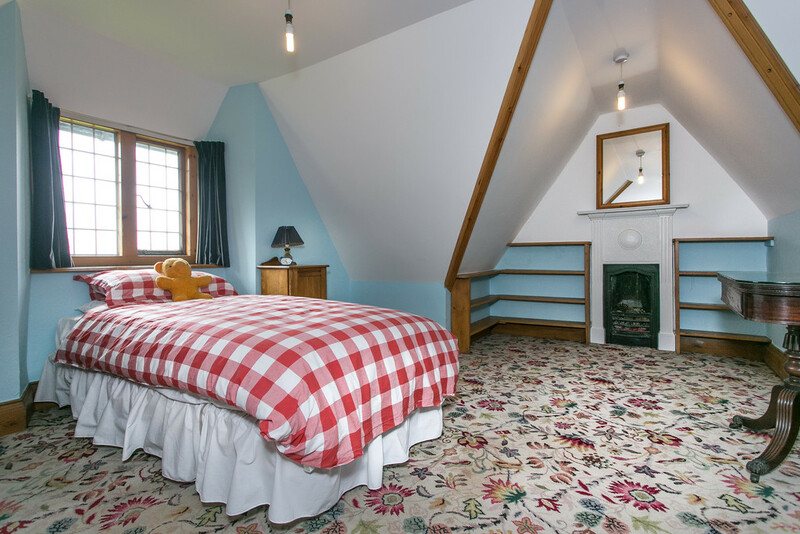 To the first floor, there are a total of three double bedrooms off the landing which includes the master bedroom with an ensuite shower room. 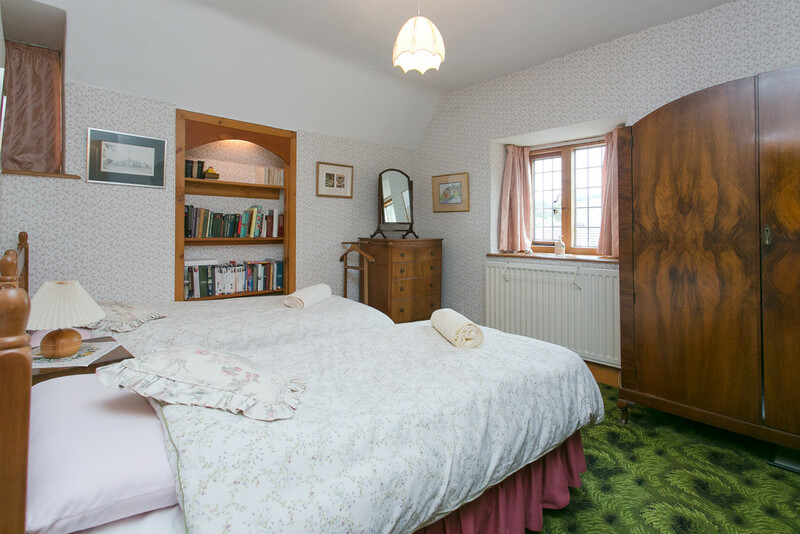 With good proportions, the bedrooms showcase the lovely features found on the ground floor with the original pine leaded windows offering serene views over to the Kent Estuary and beyond. 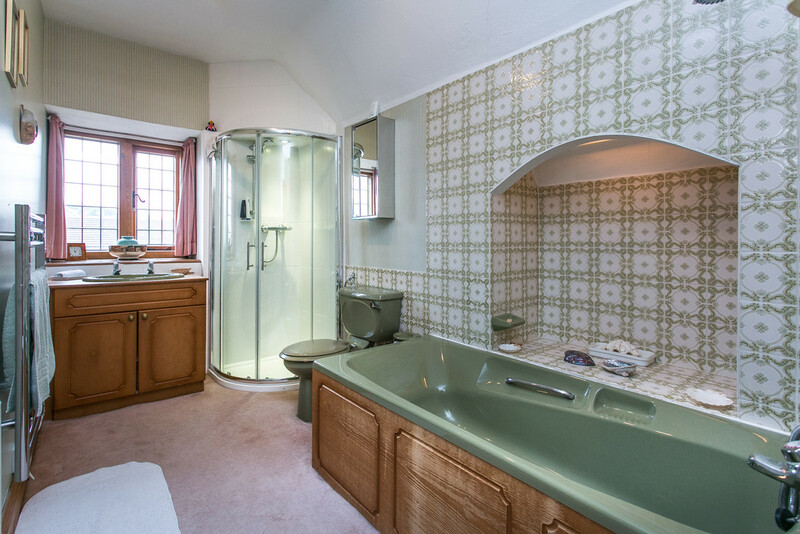 The well planned family bathroom presently comprises a bath with tiled splash back and inset feature, corner shower, WC and vanity sink. 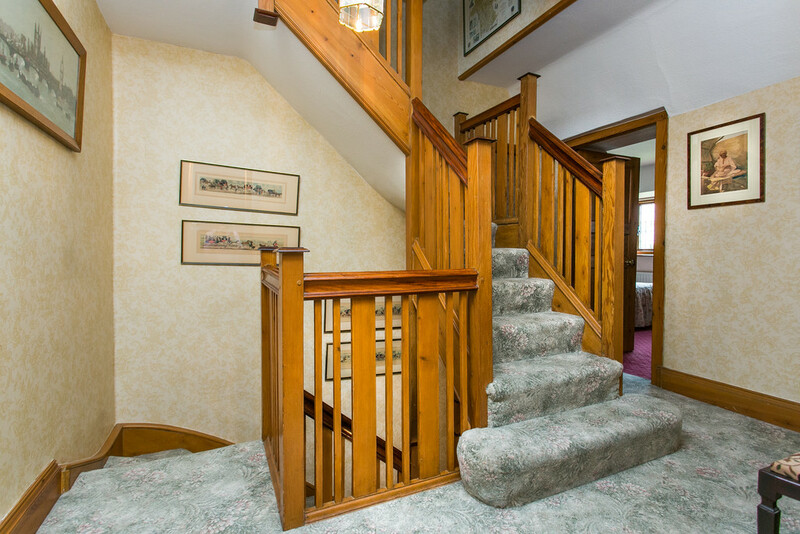 Furthermore, the staircase continues up to the second floor where there are a further two bedrooms, a single and a double, with angled ceilings and plentiful storage on the landing. 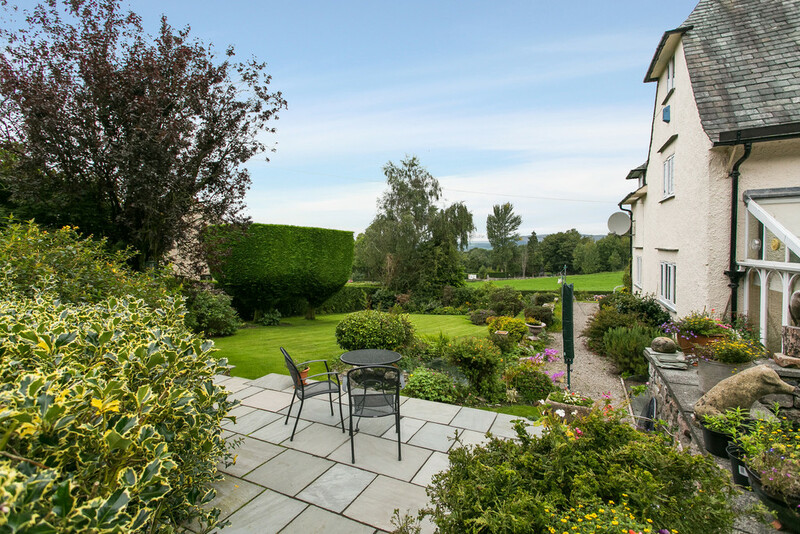 The grounds surrounding this attractive property have been well cared for and landscaped with an abundance of colourful plants and shrubs within the borders of the gently sloping lawns. 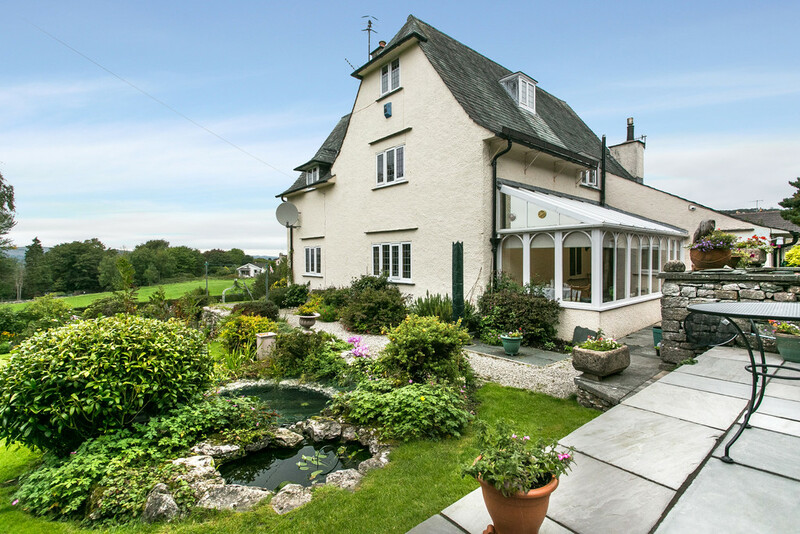 There is an oriental fish pond with a trickling waterfall feature and a neatly stone flagged patio enjoying a raised position looking out over the lawn with a glimpse of the distant estuary. 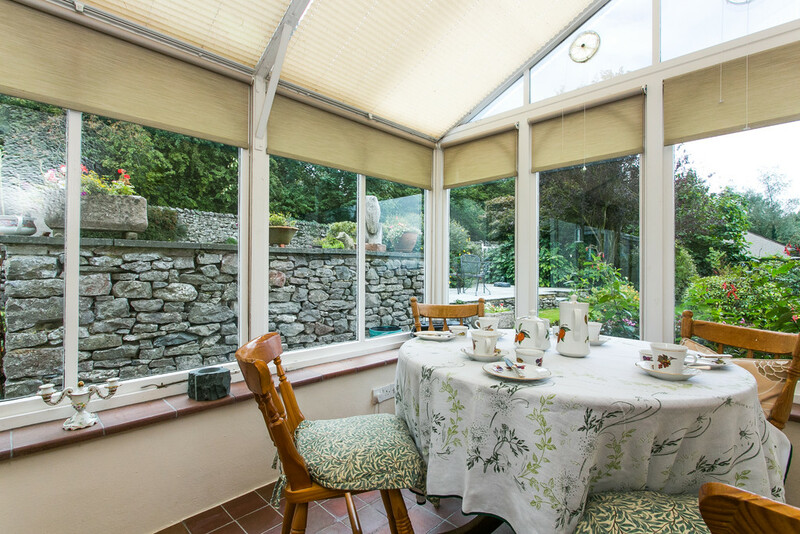 There is also an enclosed paved courtyard that can be accessed from the conservatory. 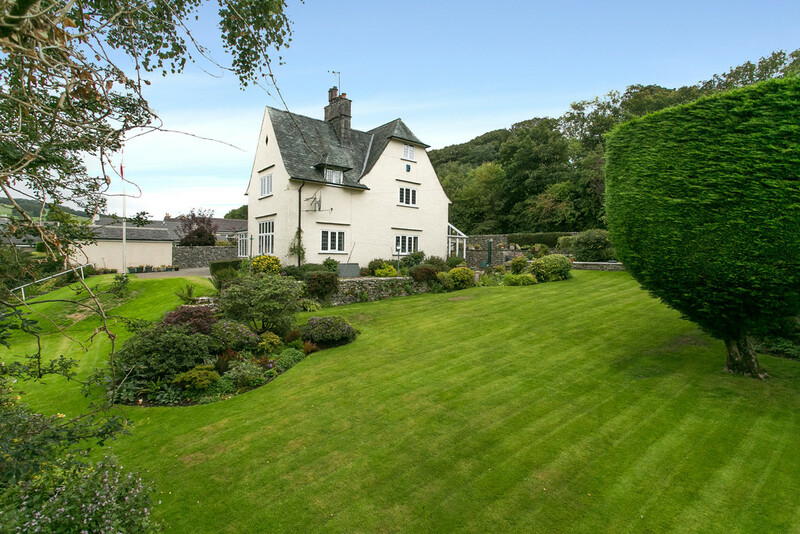 Practically, there is a garden shed and a stone built outhouse with two garden stores that are a miniature version of this Arts & Crafts inspired home. 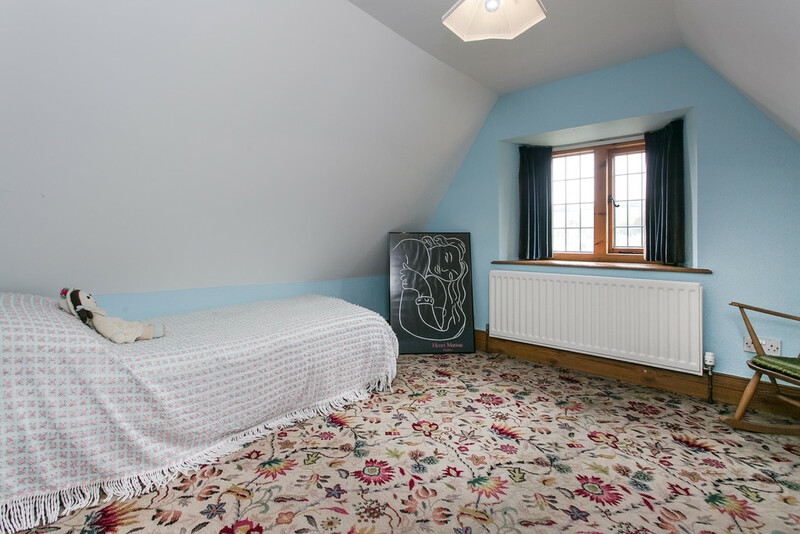 The private driveway affords ample parking and leads to the detached double garage with two up and over doors. DIRECTIONS From the South, exit the M6 at Junction 35, at the roundabout take the second exit onto the A6. At the next roundabout take the first exit continuing on the A6 for around 5.6 miles. At the crossroads in the centre of Milnthorpe continue straight on the A6, after approximately 1 mile take the first right just before the village of Heversham. Continue up the lane, veering left and Tidal Reaches is the last house straight ahead. 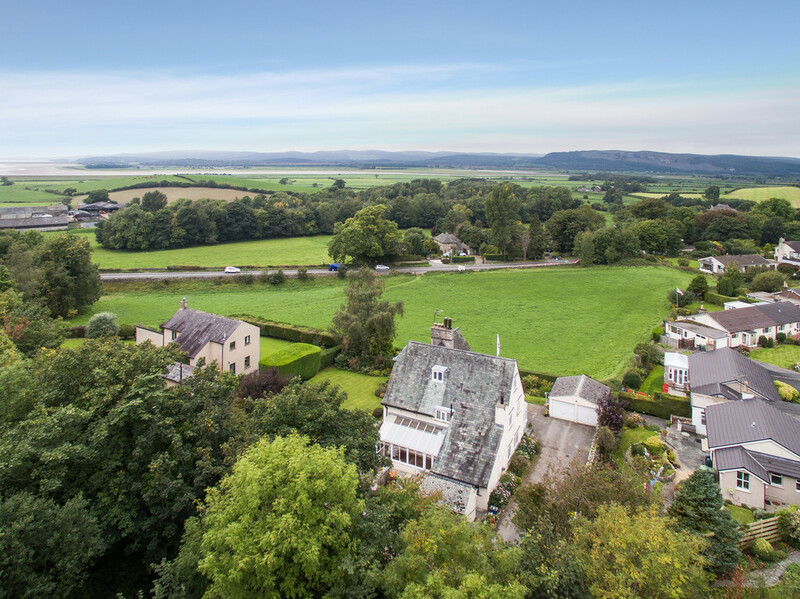 From the North, exit the M6 at Junction 36 and follow signs for Milnthorpe, A590. After passing The Villa, branch left onto the A6, continuing for approximately 2½ miles, passing by Leasgill and Heversham. As you leave the village of Heversham, take the left hand turn and Tidal Reaches can be found on your left hand side.